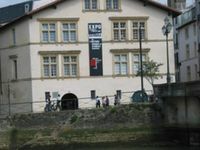 Outlined in 1897 during the Congress of the Bask traditions in Saint Jean de Luz , then drawn before WWI, the project of an ethnological and historical Museum was born in 1922 in Bayonne and opened in 1924. 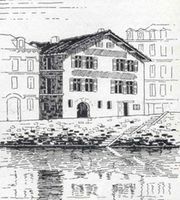 The collections were put then in a house dating from the 18th Century, which was called Dagourette House and which was bordered with 3 warehouses. The association contributes to the enrichment of the collections, either directly through gifts, or indirectly as a link between the Museum and donors. It exchanges its publications with more than 80 organizations all over the world and gives to the Documentary Center of the Museum the publications it gets from them.It provides the translation into Basque of the review about the collections of the Museum. The collaboration with the Museum has become stronger and stronger since its re-opening in 2001. We are careful as its needs either with the keepers or guardians.